Nachoria has just opened up on Rainbow and with their contest nachos that cost $30, I had to check it out. The Puerto Vallarta inspired restaurant has special discounts as well to attract more customers. 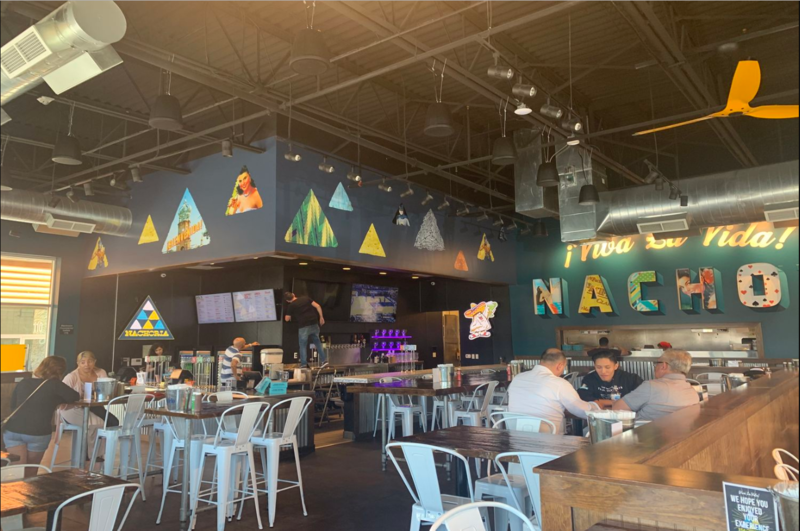 After the departure of Fuzzy Tacos from the Shops on Rainbow plaza, the owners of Nachoria have decided to face the competition and come to Las Vegas. With four-pound contest nachos for sale, I wanted to see what the establishment had to offer. The founders of Nachoria were influenced by Ignacio “Nacho” Anaya, who was a maitre d’ at the Victory Club restaurant in 1943. When there was a rush of people coming into the restaurant after closing time, Anaya went into the back and couldn’t find the chef, so he decided to put some cheese and jalapeños on top of fried tortillas. Ever since that moment, having great customer service became a priority in Nachoria because of Anaya. As I walked into the restaurant, I was greeted by employees that answered questions I had about the menu. The employees recommended the lunch special that was two dollars off, so I decided to take that order. They wanted to make sure I knew how big the portions of the food were, so I was not going over my head. Even with their reputation for having monster nachos, I couldn’t afford it on a student budget. However, there were more low-cost options that were within my price range. Since it was Taco Tuesday, I decided to buy tacos instead of nachos because it would be cheaper. I bought the carne asada and the Pancho Special tacos for $10.82 and sat down with the to-go box they gave me while I waited for my order. After waiting for 10 minutes, two Pancho Special tacos were served to me. At first sight, I could immediately see the bacon piled on the top and my stomach rumbled. 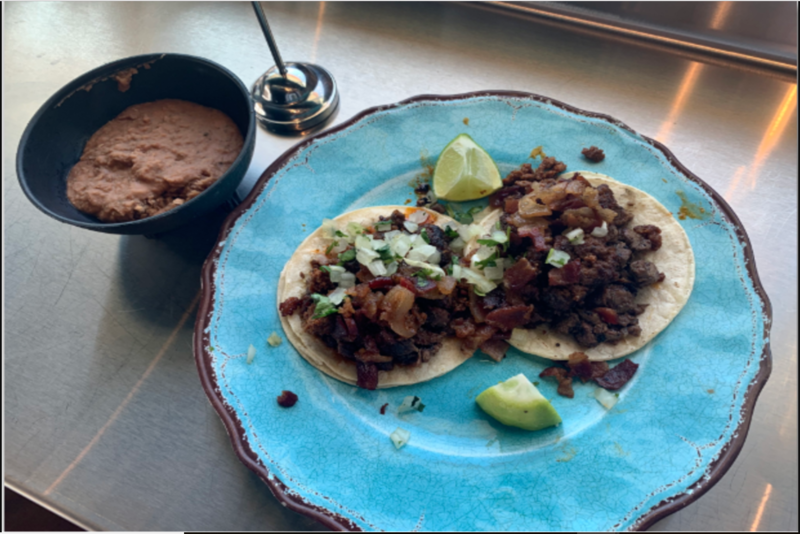 Warm chorizo and carne asada were the other types of meat that were underneath the bacon, making every bite savory. My expectations for the taco were definitely exceeded. Biting into the carne asada taco, I tasted a hint of savory sweetness topped with cilantro, lime and refried beans. Some of the carne asada had burnt tips, which heightened the flavor and crunch of the taco as a whole. After leaving Nachoria, I know I am definitely going to come back to visit. 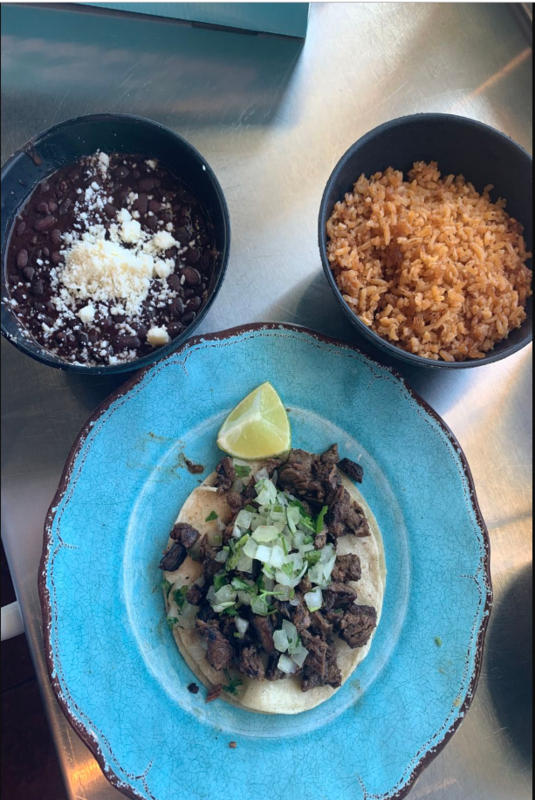 If you are ever craving tacos, but you’re on a budget, Nachoria is the place to go. Yes, the food looks good.